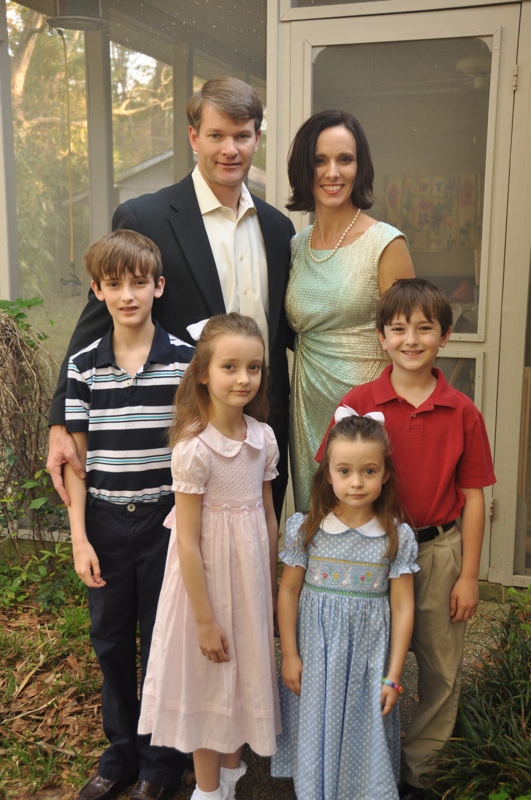 Our sons and spouses have given us the gift of a joyful jolt of family this Easter weekend. Walt and Sarah spent Friday through mid-morning in town. They and the Fab Four bunked with us and divided their visiting time between us and Sarah’s parents. Son Jeremy and family spent Easter holidays with wife Katie’s parents on a beach getaway, and I am enjoying the anticipation of a post-Easter visit as they and their two stop by during their drive home tomorrow. Blessings all! A special thank you goes out to son Walt who orchestrated the photo above and downloaded that and his other images of the weekend from his camera to my laptop. A thank you, too, to Husband Walter who served as photographer for that family portrait and who put his camera to use when he wasn't cooking or playing with grands during the Easter weekend. a really beautiful photo of your beautiful family. bob and i were just sitting outside and he said, wonder why homes in florida don't have screen doors, he said do you remember every house had a screen door? i came in and here is your family standing in front of a screen door. What a nice photo! Glad you had a great Easter celebration. We are going to my aunt's for lunch today. A wonderful family portrait! Sounds like you had joyful visits and anticipate more. A perfect family Easter photo! Walter did good! What a lovely Georgia tribe you have! I know your Easter was a memorable one.